Higher education in Germany is usually low-cost but is still recognised worldwide, and that’s what makes it a great destination for international students. In Germany, courses are usually taught in English (with a few in German) at the university level. The college degree programmes usually follow the European Credit Transfer and Accumulation (ECTS) points system which is used across the European Union to numerically measure the level of education acquired or required by the student throughout his or her academic life. Germany has become the number one priority for many international students for their studies. The Dual Education System: Germany is proud to have Europe’s lowest youth unemployment rate; thanks to its Dual Education System. Students who complete their high school degrees are given an option to specialize in an area of their interest. Students receive vocational training that involves both practical knowledge and theoretical expertise in this system. The dual education system is one of Germany’s biggest achievements because it is difficult to successfully implement in most countries. 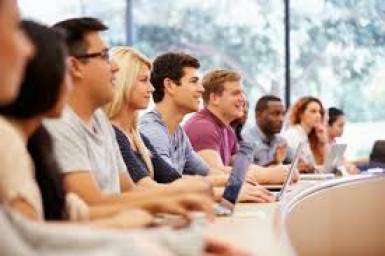 Education Opportunities for Foreign Students: Students from around the world are considering Germany as an increasingly attractive option for higher education. Quality oriented teaching, admission to top ranking universities, world-class facilities, excellent faculty are available to international students. Private universities – Which have total control over their fees and must find their own means of funding. Public universities in Germany charge no tuition fees for both local and international students. This basically means that you can get free education in Germany. However, while there are no tuition fees per se, the cost of studying in Germany isn’t exactly zero. You will still need to pay some combination like Administrative fees, Enrolment fees, Semester fees, Housing rent etc.